Working at Beaver Design, we've just set the new incarnation of nockolds.co.uk live. 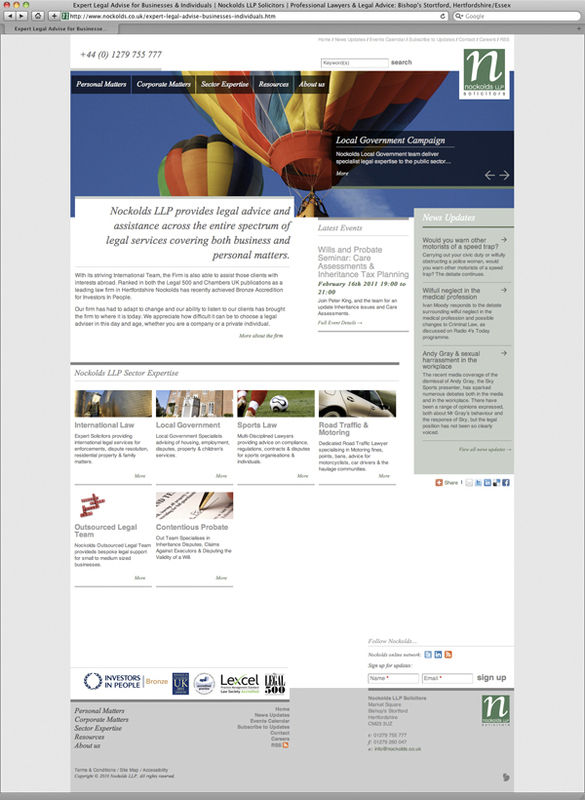 It's been a labour of love for me really, as my initial involvement in 2006 was one of my first steps into the world of the web design so it was great that the marketing team at Nockolds LLP asked us to take the interface forward. This new evolution combines a free yet considered interface with an alternate view on a structured layout, meaning we were able to retain tried and tested techniques but manifest them in a new way. 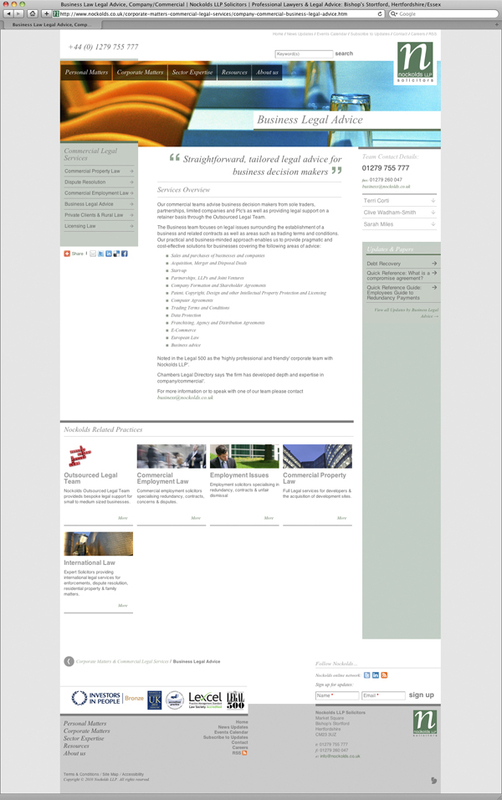 The Beaver team also worked alongside Nockolds Solicitors to enhance the way they manage their online content, adding a news blog for press updates, document archive for industry papers and events calendar. All in all these developments bring nockolds.co.uk bang up to date creating an interesting and informative legal environment for clients and solicitors alike.